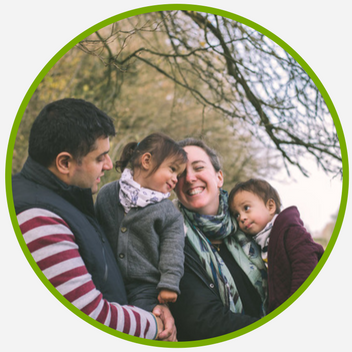 There's not much point in us planning a room at the moment as although I would love to re-decorate our bedroom or update the living room or, if we have a miracle, a nursery, we are most likely moving this summer so I don't want to spend any money on the flat. I also need to spend my time decluttering in preparation! I have, however, made a few little updates over the last few months which I've been meaning to write about. Most of them involve art. We love collecting little pieces of art on our travels. I am a complete luddite when it comes to art, I just know what I like. 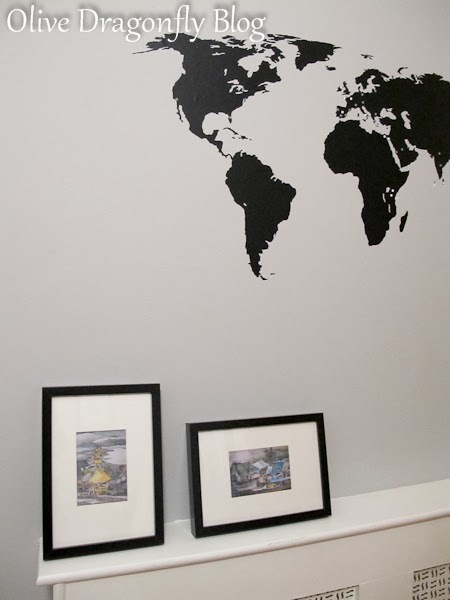 I love to have things around our home which remind us of our travels. Most of them are in our 'Africa Room' which is the most calming room in our home with it's pale grey walls and white furniture all brightened up with pictures and trinkets from our trip to Africa (and a few other places now too). I had quite a few pictures waiting to be framed. 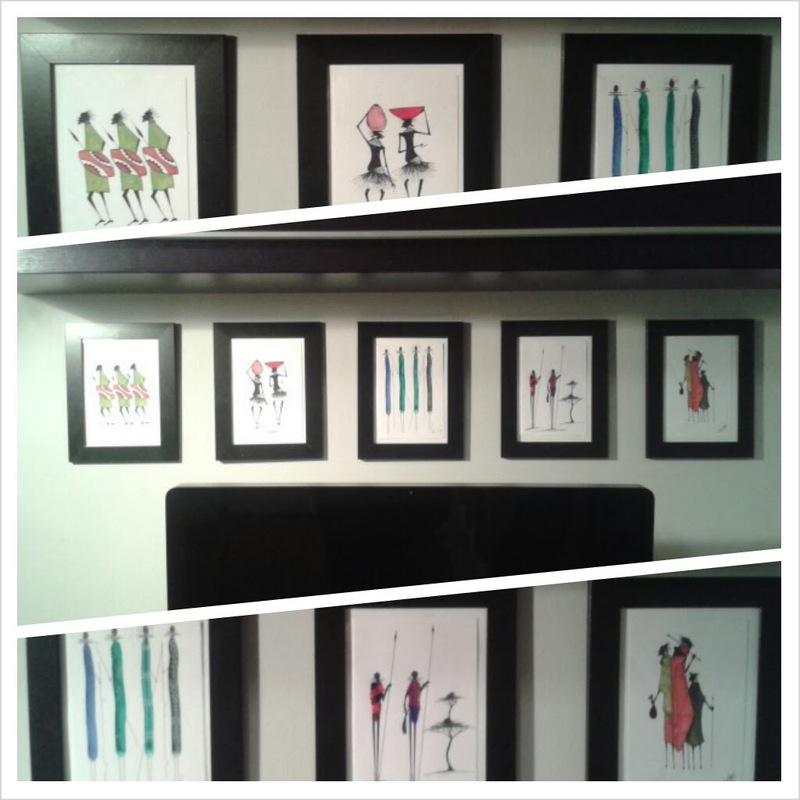 The first were these cards we bought from the Maasai Market in Nairobi on our honeymoon. I bought some really cheap black frames from Ikea, Nyttja - 2 for £2.75 and hung them in a line above the desk. 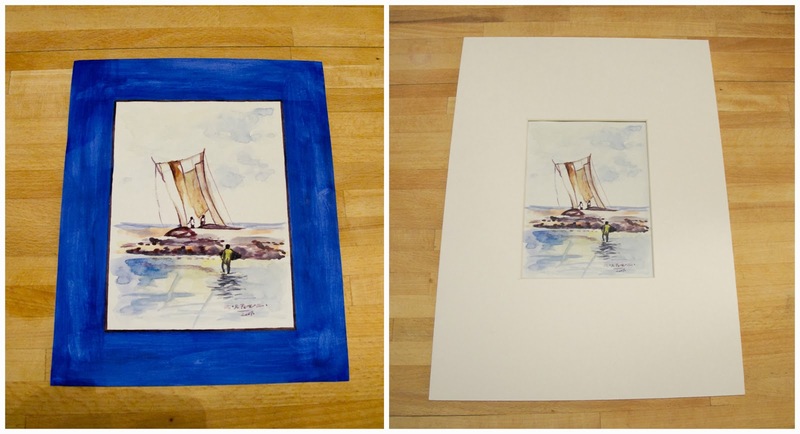 This watercolour print shows how framing can make a huge difference to a cheap painting bought on a beach! We bought this one in Sri Lanka in 2010 and it's been in a drawer ever since! I finally got round to cutting a mount for it and decided it would look good in a large frame with a big mount. 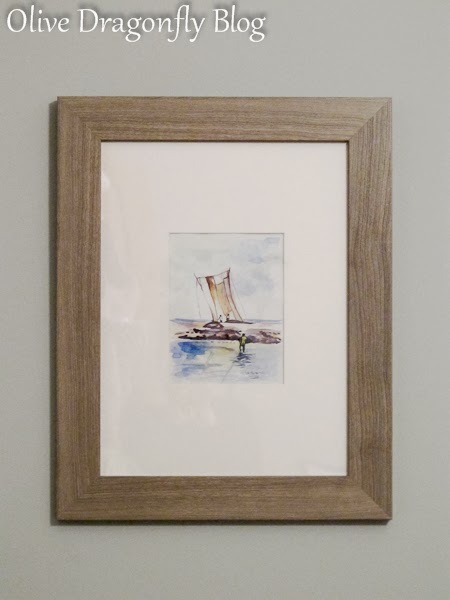 I bought this £9 Jallvik frame, also from Ikea. 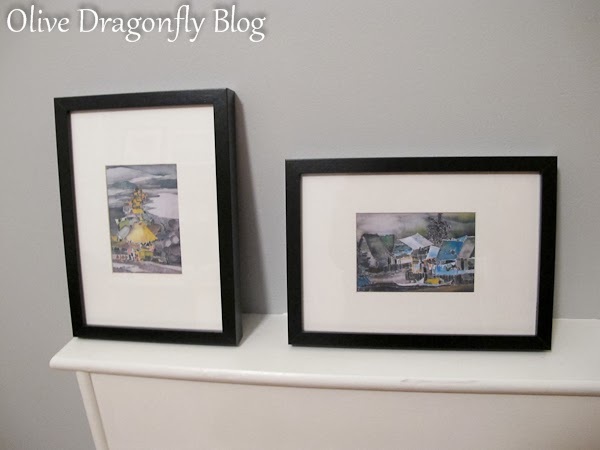 And the next two are prints of silk paintings which I bought at the Kraft Komplex in KL, Malaysia last summer. Again the right framing can make all the difference. I forgot to take a before picture as I left the original frames in Malaysia to save on luggage space/weight. 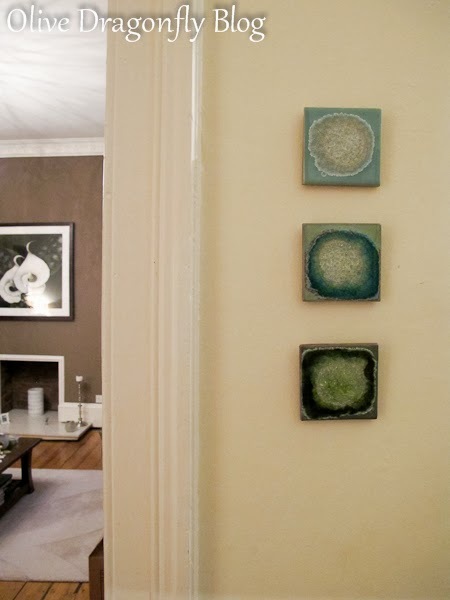 They cost around £4 each including the frames which were small, grey and plastic (a bit like this but shiny and cheap looking). The mounts were very crappy bits of poorly cut card which unfortunately proved difficult to remove as they were glued onto the prints! I managed eventually and cut my own mounts, again deciding to frame them with quite a bit of space around the small pictures and again going for black with good old Ribba frames. I changed the frames above our bed as well. 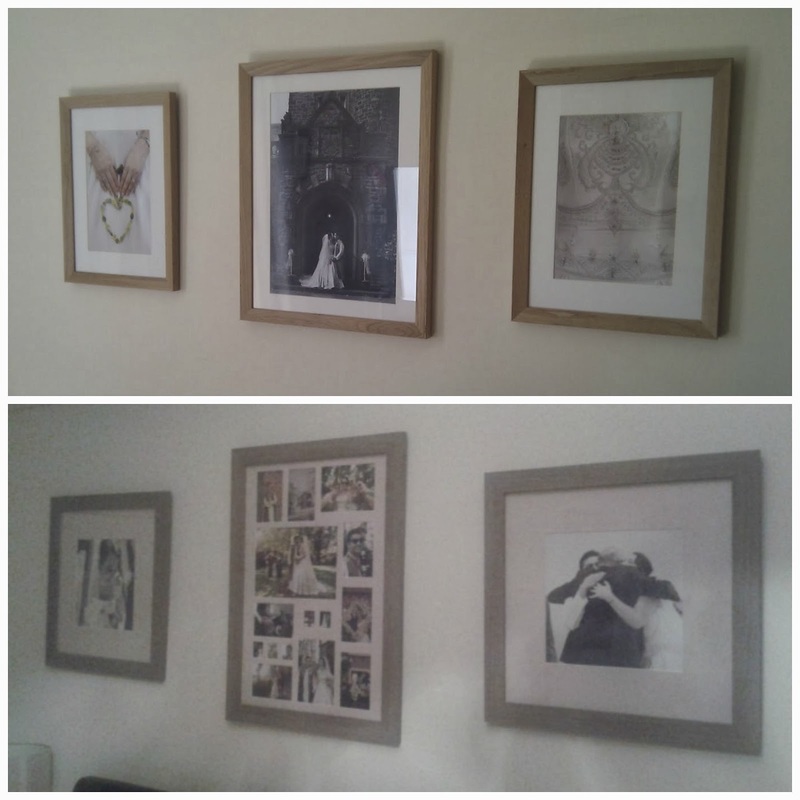 Having sold quite a few of my framed prints at work recently, I used the old frames above our bed to replace them, swapping the wedding pictures for some underwater ones. I fancied a change and never really loved the ones I had above our bed. The truth is, there's not really a wedding picture of Nik and I that I love and would look good large. I decided to frame two of my all time favourites in B&W and filled a large frame in the middle with all my other favourites in colour and B&W. I really love the Jallvik frames and used the large 50 x 50 square ones and huge multi-aperture frame (also comes with a mount for one large print if you prefer). As for other little updates, I finally decided where to hang the tiles (coasters I added hooks to) I bought in Anthropologie in the summer. I have hung them in the hall so I see them every time I walk out of the kitchen. I love them! 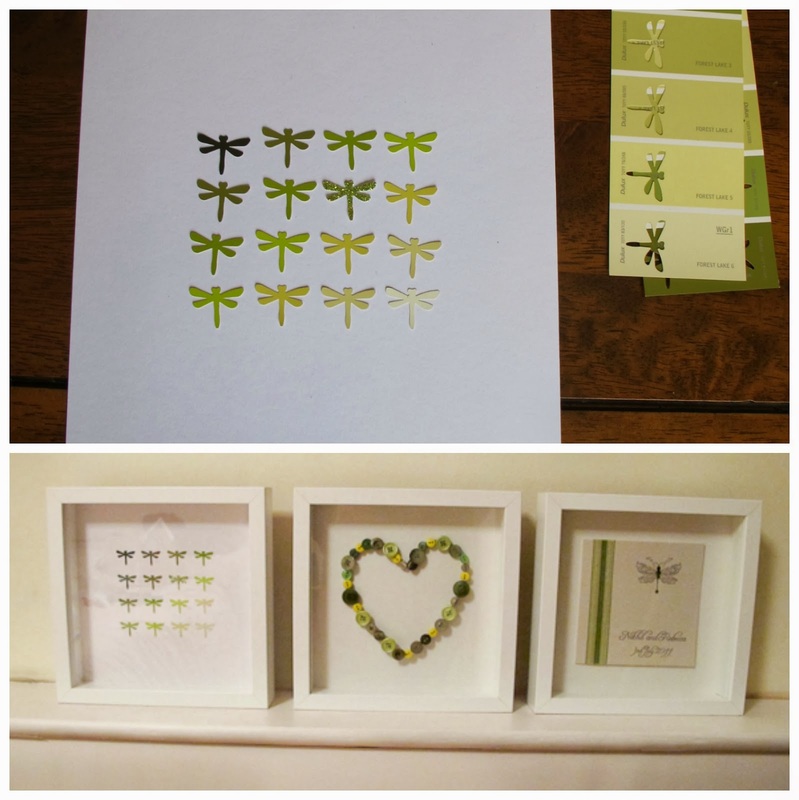 I also got round to finishing the frames I started making with some of our wedding bits. I had tried to hang our button heart in one but it fell off after a couple of weeks. I've now wired it onto the card at the back so it can't fall down again. 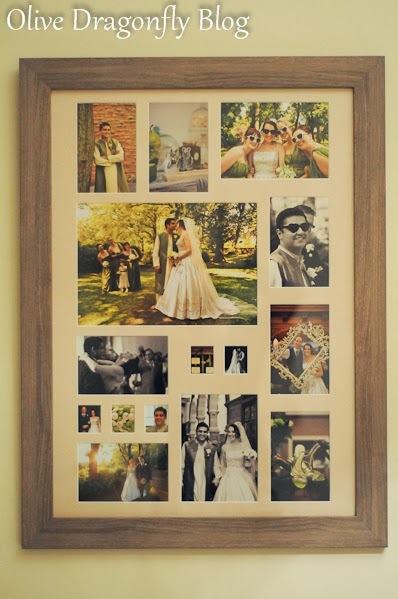 I had framed some of our wedding stationery in another square frame - I think it was either the menu or order of service which I cut to fit - they had our names on whereas our square invitations didn't. For the 3rd frame I decided to punch out some of my dragonfly shapes from green paint swatches to make an ombre design and couldn't resist putting a sparkly one in there! I think they look great although they're just sat in the spare room which is a bit of a mish mash at the moment, waiting to be hung. I am quite apprehensive about moving. If it wasn't going to be for the best (it's either that or put up with Nik having to live 3-4 hours away or go with him for 6-18m during his next job without any say when that is during the 5 year rotation in Scotland) I would much rather stay here in our gorgeous (yet cheap) flat, do a bit of a re-vamp of some rooms and not have to worry about finding a new job, home and friends all while dealing with whatever else this year throws at us regarding the IVF! However, in the interest of staying positive this year, I am also excited about the opportunity to find a new home and be able to plan lots of rooms. Also, given that the friends I have made via blogging are actually located all over the country, I'm hoping we might end up somewhere I already know some people to make it a bit easier when we get there. Oh, and somewhere the property isn't too expensive either, I have gotten very used to having my lovely large kitchen! We have to rank all the jobs in February and then wait to see which one he gets. Eeek! 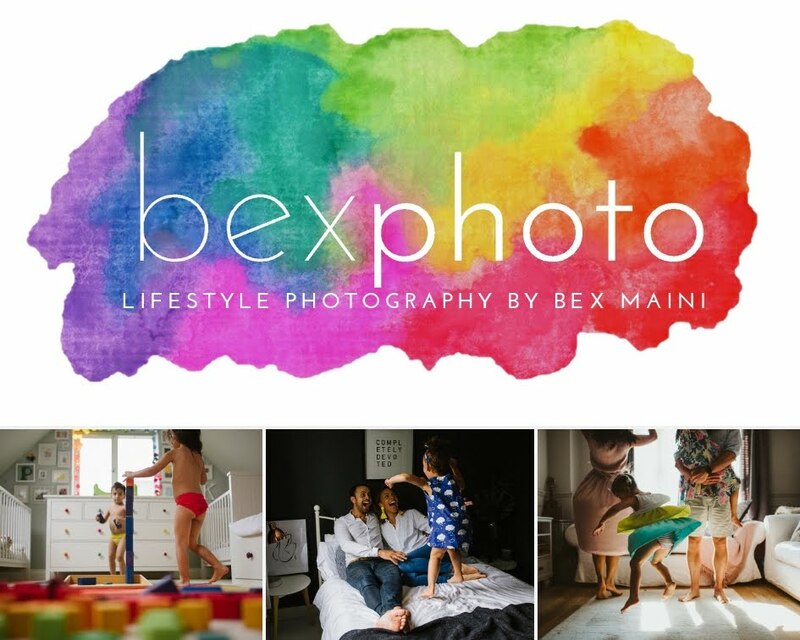 Absolutely love your decor Bex! Simply stunning! What lovely things you have framed. It's amazing how much better (expensive!) 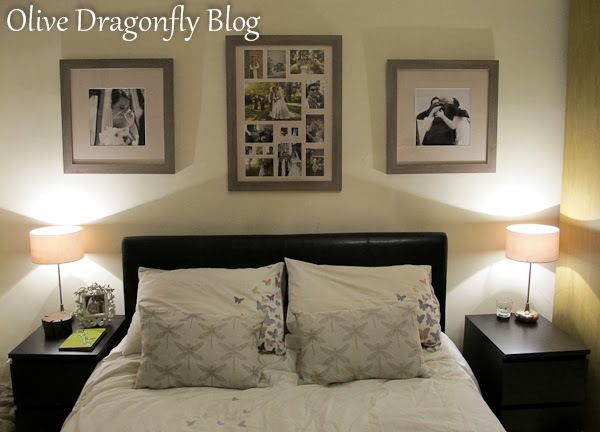 you've made your Sri Lanka / Malaysia prints look - and in *only* IKEA frames! 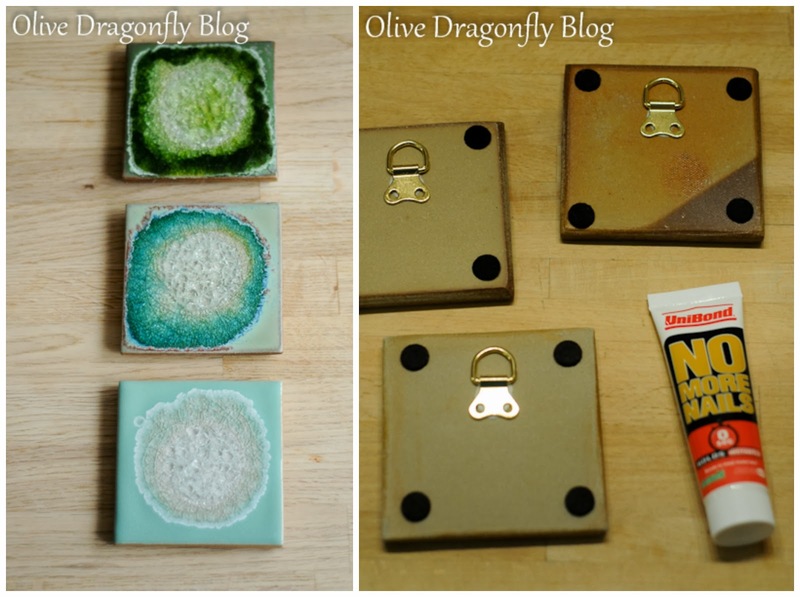 I also love the Anthropologie tiles / coasters - plus the wonderful things that you've made yourself from scratch. You definitely have a talent!